November 13, 2018, is World Kindness Day!! You may have forgotten to put it on your calendar, but kindness goes hand in hand with digital citizenship, so here in the lab, we teched it up. 4th graders did an activity call Freeze!, where they acted out short skits to help them discern fact from opinion, and think about how a fact could be expressed in a kinder fashion. In our first video, you can see them practicing saying kind things to one another, then teched it up by filming them acting out their own skits! 5th graders learned about how the Golden Rule appears in many cultures and religions, then teched it up by filming them doing a reading. 6th graders began the World’s Largest Lesson, which introduces the Sustainable Development Goals to children and young people everywhere and unites them in action. 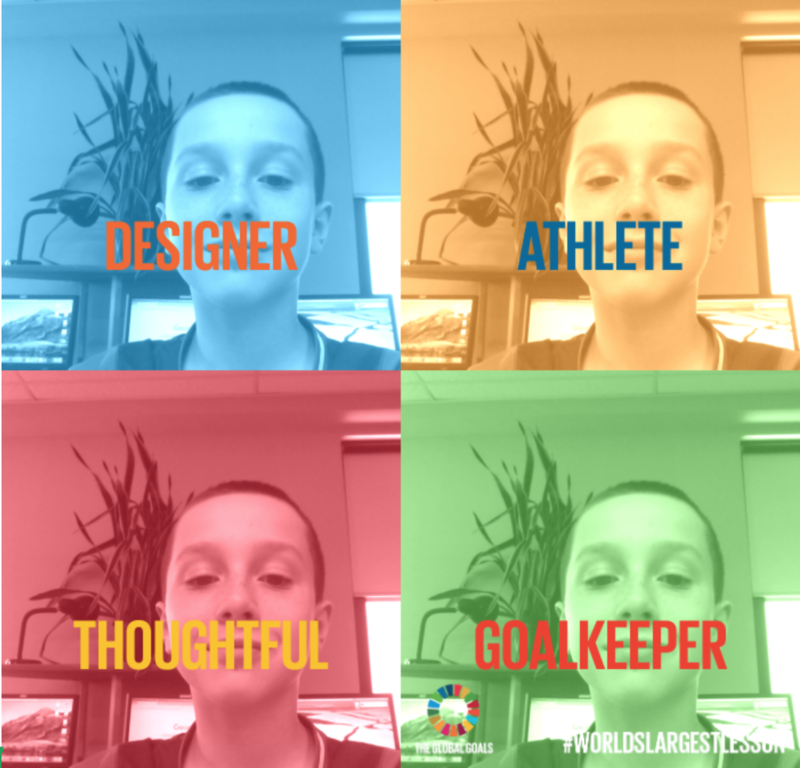 I teched it up by giving them ther first assignment on Google Classroom – Be a Goal Keeper, where they used an online app to create a personal Goalkeeper self image.